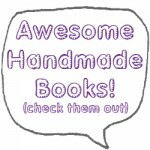 Heart Handmade, a great blog that follows the current D.I.Y. crafting movement featured me in a step by step “how they made it” lab section where I discuss how I make my miniature books – check it out! 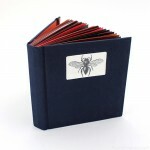 Feature on Craft Magazine Blog! 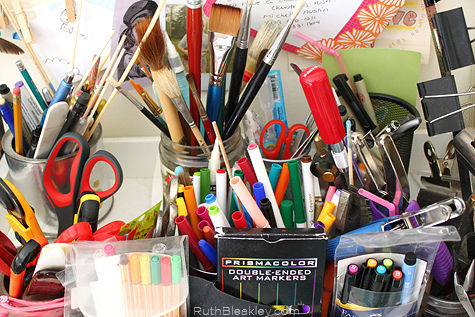 Blog feature on Craft magazine blog. 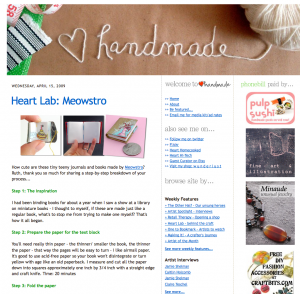 I loved your feature on Heart Handmade! All the best to you; I plan to follow your blog.